Regular readers will know that we’ve been keeping a running total of all the end of year sales and discounts, but as the John Smedley sale has started later than the rest, thought it might be worth flagging up on its own. If you are after something specific from the current range, it might be worth a look, as there seems to be 30 per cent off most of the stock. But if you want a bigger discount, you’ll have to look elsewhere – like the company’s Outlet store or one of the other sale stores which stocks Smedley. 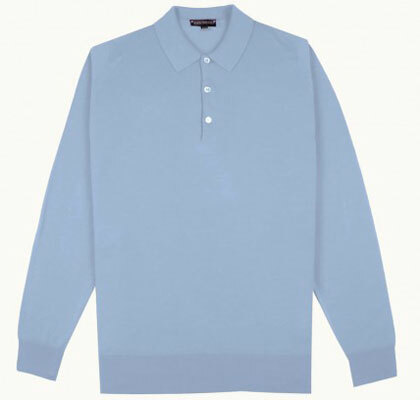 Anyway, if you want a mod classic like this Tyburn long-sleeved polo shirt, it’s now down from £145 to £102. If that’s still a bit rich, look elsewhere or wait for the Mill Sale to come along.